1. DO WEAR HATS AND APPLY SUNSCREEN. There is little shade on the grass where spectators watch from so make sure to protect yourself from the sun! While sandals are really cute, closed-toed shoes are the best idea for this outdoor sport which may often have you up close and personal with large animals. The best way to stay safe while watching this sport is to be aware of your surroundings! Any sport involving animals may become unpredictable at any time. 4. DO TAKE LOTS OF PICTURES AND BRING YOUR FRIENDS! The more the merrier and remember if you #PacificPolo or #PoloPicnic2015 you may end up featured on the Pacific Polo Club's Instagram or Facebook! Horses are prey animals and therefore easily spooked. Always leave a horse length between you and the back of a horse, to ensure you do not get kicked. Like humans, horses may have allergies or other dietary restrictions, please refrain from feeding all horses to ensure their safety. 3. DON'T ALLOW ANY PART OF YOU TO BE IN THE ARENA DURING CHUCKKERS. Chuckkers are fast paced, to keep players, horses, and spectators safe, please keep all arms, legs, heads, jackets, hats, and any other personal items outside of the arena at all times. 4. DON'T SMOKE OR CONSUME ALCOHOL ON THE PREMISES. We ask that spectators refrain from smoking or drinking alcohol on the premises to make sure everyone is in a safe state of mind since working with large animals means things can become dangerous and unpredictable. We've just had our first practice of the year and I can already tell it's going to be a great season! Our team is so psyched to be back together, and there's a fire in our eyes like none I'd ever seen before. On our car trip to practice I could tell that the anticipation of getting back on horses was filling the car with an excited haze that seemed to expand within us like a balloon. We were ready to pop. We caught and tacked up our horses of choice and before we knew it we had eagerly mounted. Soon enough we were whacking the balls around and getting our bearings back; we had to get the sleep out of our eyes after a restful summer. After warming the horses and ourselves up, our team captain, Becca facilitated a few exercises to hone our technical skills, and I could feel our power pulsating. We rode for about an hour and a half and by the end we were all more secure in our hits, confident about the coming year, and most of all, sore! On our way home I couldn't help but dream in the backseat about all of the awesome adventures we'll go on as a team and all the great times we've had and are going to continue to have. This is going to be the best year ever!! 1. A way to take a break from campus life. 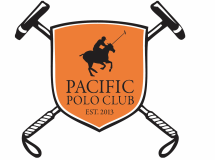 The Pacific Polo Club practices in Oakdale about 40 minutes off campus. This off campus practice time is a well-earned break from the stresses of school to laugh with friends and be around horses. 2. Polo can give you opportunities. Polo is such a unique sport that having a basic knowledge of how to play and ride can give you opportunities to play at polo clubs all over the world. 3. Polo is a fast paced game. In a game horses are galloping across an arena at about 35 mph. Enough said. 4. The bond of having team mates. While any sport offers this amazing relationship, polo is unique in that team mates become very close because polo has only 3 or 4 people on a team. Having a close relationship with team mates not only makes for a great dynamic while on the field but also offers lasting friendships unlike any other. Yes! Every team member writes a post so you can see each members experience on the team!